Alderman Walter Burnett was on hand to break ground Tuesday for the City Gardens Apartments near Jackson and Maplewood. 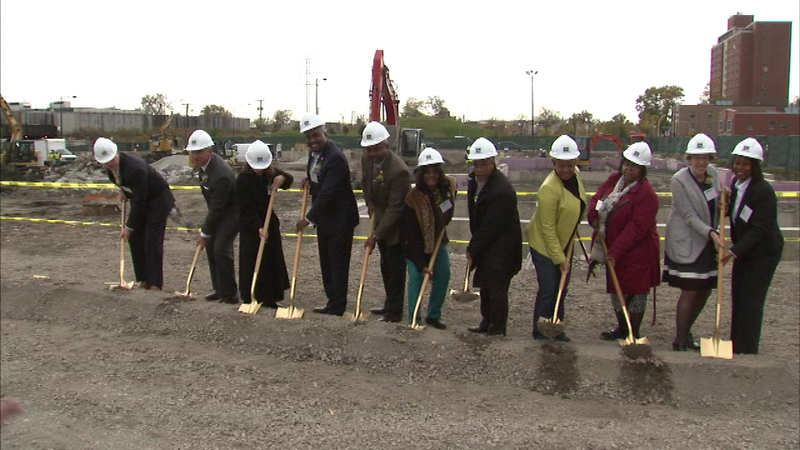 CHICAGO (WLS) -- A major new mixed-income housing complex is coming to Chicago's Near West Side. Alderman Walter Burnett was on hand to break ground Tuesday for the City Gardens Apartments near Jackson and Maplewood. It will include 7 three-story buildings with a total of 76 apartments. The city says this is a green development with a community gardening area and on-site recycling. It's designed to be affordable for people with a wide range of incomes.